I remember starting this thread waaay back when in one of the older versions of these forums and there were a lot of supporters, so did any of you guys ever ship Harry and Luna? 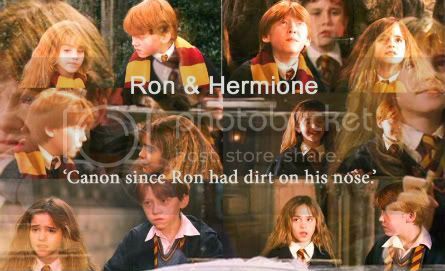 Aw, Harry/Luna are cute. Whilst I have always been/will always be a true H/G and R/Hr Shipper, I have enjoyed pairing Luna with just about everyone at some point or other in fandom. She is such a unique, fresh character with such an interesting dynamic with so many people - I find I can enjoy Harry/Luna, Ron/Luna, even Draco/Luna in fanart and fanfiction. In the books however, the nearest I've got to shipping Luna with someone is Dean for a while during the seventh book and more generally, Neville. But yeah, good idea for a thread! For me the things which I like about Harry and Luna together are that she is so positive and free in herself, a breath of fresh air for Harry, and open-minded enough that she is one of few who are really capable of understanding him. The loss of their mother is also a bond they both share. Harry likewise, as an outsider himself, is more capable than most of understanding - and even being attracted to - Luna's loneliness and unconventional ways. They are both people who will never quite fit into 'normal' society, so I think there's a lot of common ground there which could have been a good basis had Harry and Luna been put together romantically. 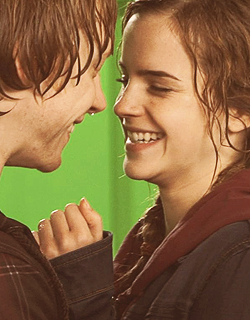 I could ship movie Harry/Luna a lot easier than book Harry/Luna I think. Even though I could easily understand the appeal considering their personalities and histories. I was never big for the whole Luna/Neville thing that the movies (esp. DH2) tried to portray. To me it seemed contrived simply to appeal to HP fans who liked the pairing. I don't like when movies veer off from the canon just to pander to fandom. While I appreciate any fan's shipping choices I come down a bit harder on "shipping" when a movie director or producer is imparting their ideas and those stray from canon. Oh gosh to be honest I mean completely honest...ok...book version I wanted H/G always-they were meant to be together...BUT movie-I really wanted Harry and Luna together-there was something about them together...but overall no I would rather it be Harry and Ginny (which of course it was ).